You'll be £20.00 closer to your next £10.00 credit when you purchase British Municipal Bus Operators. What's this? 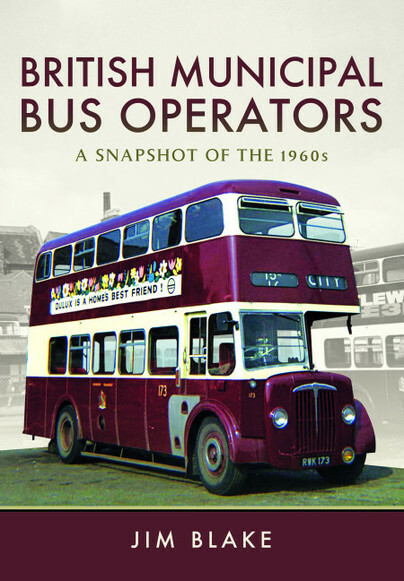 This book looks at municipal operators in England and Wales in the 1960s. Going back to the very first horse-bus or tram operations in Victorian times, many towns and cities throughout Britain had such operators, owned and run by the town or city councils. Most of them had tramway systems, many of which were replaced by trolleybuses from the 1920s onwards. In turn, after the Second World War, trolleybuses too were on the way out, with motorbuses unfortunately replacing both forms of electric traction. By the 1960s, only a handful were still operating trams, then by the end of the decade only few trolleybus systems remained. During this period, some of these operators had very large fleets, for example those serving the conurbations of Birmingham, Liverpool and Manchester, whilst others had very small fleets, such as West Bridgford Urban District Council in Nottinghamshire. Municipal operators had a wide variety of vehicle types, encompassing virtually all chassis and body makes then in service, and were also well known for their distinctive, traditional liveries. In addition to the buses, there were also still trams and trolleybuses, which to many enthusiasts made them that much more interesting.